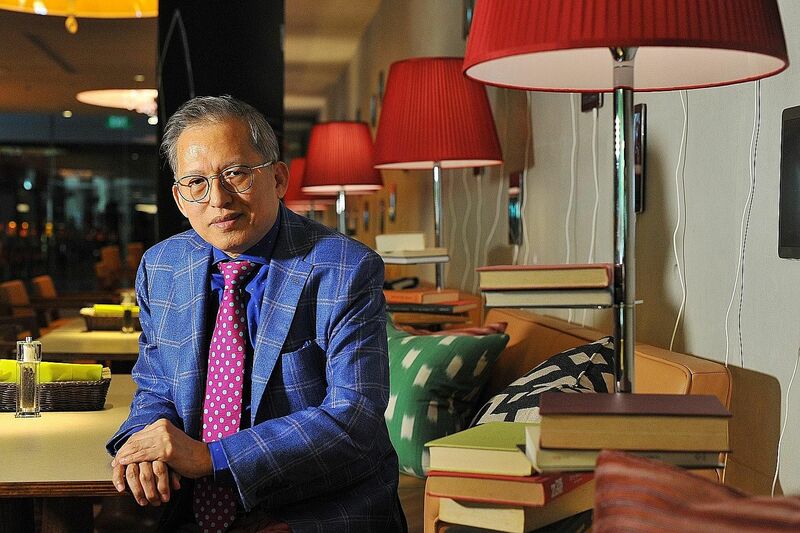 Billionaire hotelier Kwek Leng Beng, usually in sombre suits, looks like a different man as he strides into his newest hotel, M Social, in salmon-pink trousers. He has ditched his corporate look for a stylish combination of a blue blazer over a patterned shirt and tie, paired with electric-blue shoes and the eye-popping pants. Against the cool backdrop of lava lamps, an artistic wall installation of tablets and chic mismatched floor tiles in the hotel's restaurant Beast & Butterflies, Mr Kwek's funky image mirrors the spot's youthful vibe. The 75-year-old, who has a wardrobe for business and another for laid-back events, says: "I won't wear this look to the office. I wear this for comfort - that's important to me." But before he gets called out for trying too hard, the straight-talking businessman quips: "I cannot be as chic as the youngsters." Aside from location, buying a hotel is also about the timing and your gut instinct. I'm a contrarian - even if the market is bad to some extent, there's still a chance (to make a sale). The Chinese say for every danger, there is an opportunity. I believe in that. Mr Kwek is the executive chairman of conglomerate Hong Leong Group and property developer City Developments Limited (CDL). He is also the chairman of the London-listed Millennium & Copthorne Hotels (M&C), which has 128 properties in its international stable. Both CDL and M&C are members of the Hong Leong Group of companies. Forbes estimated his net worth at US$2.7 billion (S$3.7 billion) in a ranking of the world's richest people it released in March. Mr Kwek has been on a roll, opening designer and boutique hotels, and moving away from "cookie- cutter" ones. He recently launched two stunning hotels in Singapore. Built for millennials, three-month-old M Social boasts Instagramable fixtures, industrial-chic rooms with pitched ceilings and an infinity pool styled with hints of a French garden. The 293-room hotel in Robertson Quay was designed by famed designer Philippe Starck. The Frenchman also left his signature on The South Beach luxury hotel in Beach Road, which opened last year. The property features sleek rooms, communal spaces filled with art and an infinity pool on the 18th floor. In June, the hotel was rebranded as JW Marriott Hotel Singapore South Beach. JW Marriott's parent company Marriott International will manage the property and refurbish it to include more restaurants and a spa. The 634-room luxury hotel is the first JW Marriott hotel here. 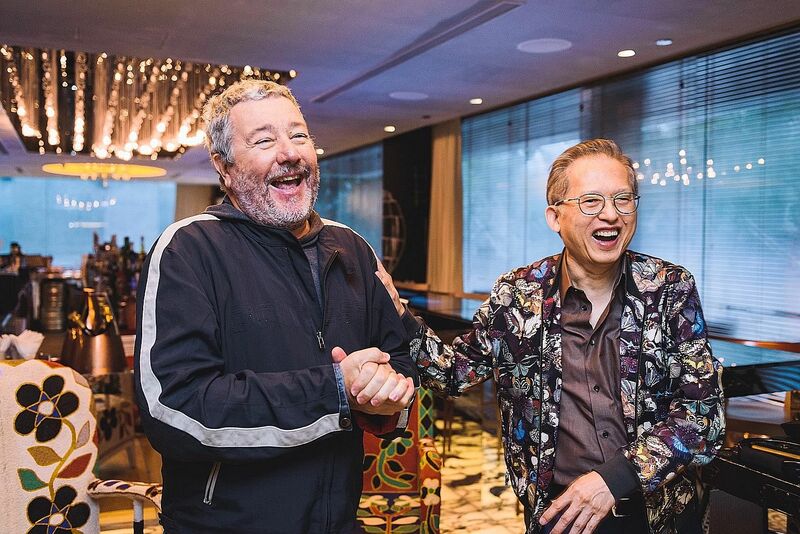 At the same time, Mr Kwek also announced a joint venture with feted American hotelier Ian Schrager - he is often credited with starting the boutique hotel concept in the 1980s - and other companies to bring the first Edition hotel to the city. The eight-storey luxury and design-rich hotel, to be built on the former Boulevard Hotel site in Orchard Road, is slated to open in 2019. It is much like a game of real- estate monopoly. Mr Kwek has accumulated properties in coveted locales: Millennium Gloucester Hotel London Kensington; Millennium Hail Hotel Saudi Arabia; Millennium Broadway Hotel New York; and Millennium Mitsui Garden Hotel Tokyo. Other hotel assets under CDL include the luxurious The St. Regis Singapore in Tanglin and W Singapore - Sentosa Cove. The astute mogul says he is buying and building standout properties to stay ahead of the competition. Mega-mergers between big hotel groups have also upped the pressure on smaller hotel companies to stand out in the travel industry. Earlier this year, mammoth hotel groups Marriott International and Starwood Hotels and Resorts Worldwide joined forces to create the world's largest hotel company. Mr Kwek says: "When you aren't so big, you have to find a niche to be able to survive. To get that niche, you have to think out of the box. What else can you do?" He devours articles, magazines and books about hotels such as Hotel Revolution and The Design Hotels Book. "I realised that the beauty of hotels comes from design, architecture, innovation, maintenance and comfort. So I developed an avid interest in functional design, as well as aesthetics." He hires the best to make his hotels stunning. To date, he has worked with the who's who of hotel designers, including French interior designer Pierre- Yves Rochon, who refurbished Orchard Hotel Singapore; and Taiwan-born designer Tony Chi on the Millennium Hilton Bangkok. Mr Kwek says: "Some designers are famous and prima donnas. But they like to work with me because I'm decisive." Would he then consider taking on an untested designer or firm looking to work on one of his hotels? "Show me your past work. When I talk to a designer, I want the No. 1 in the company - the chief designer. I can dangle carrots because if you do well, I'll have a lot of hotels for you to work on." You could say he has an obsession with creating the perfect hotel. Mr Kwek tries out hotels from other brands to see how they measure up to his own in terms of their design and services, and to get ideas to improve his own properties. The boutique Hudson Hotel in New York left a "deep impression", with floors that light up and a restaurant filled with 13m-tall trees and an ivy-covered wall. The Mondrian in Los Angeles got him with its "out of this world" swimming pool and romantic corners on the property. He often stays in his own hotels too. "I have a sharp eye if anything needs improvement." It is a skill he has honed to a T, since building his first hotel - King's Hotel in Havelock Road - in 1970. It was rebranded as Copthorne King's Hotel in 1998 when he rebranded his stable of hotels here with the name of his then newly acquired Copthorne hotel chain. By then, he had proven himself to his father, the late Fujian-born Kwek Hong Png, whom he calls a "hard taskmaster". The patriarch allowed him to develop King's Hotel, even though the young man had no experience running one. The law graduate from University of London, who also trained as a chartered secretary, says he would have been an investment banker, but his father wanted his eldest in the business. The elder Mr Kwek came to Singapore when he was 16 and founded the Hong Leong Company in 1941. With $7,000, he started a general trading store in Beach Road selling ropes, paint and ship and rubber estate supplies. He grew the business into a diverse one, together with his brothers, who had a stake in the business. 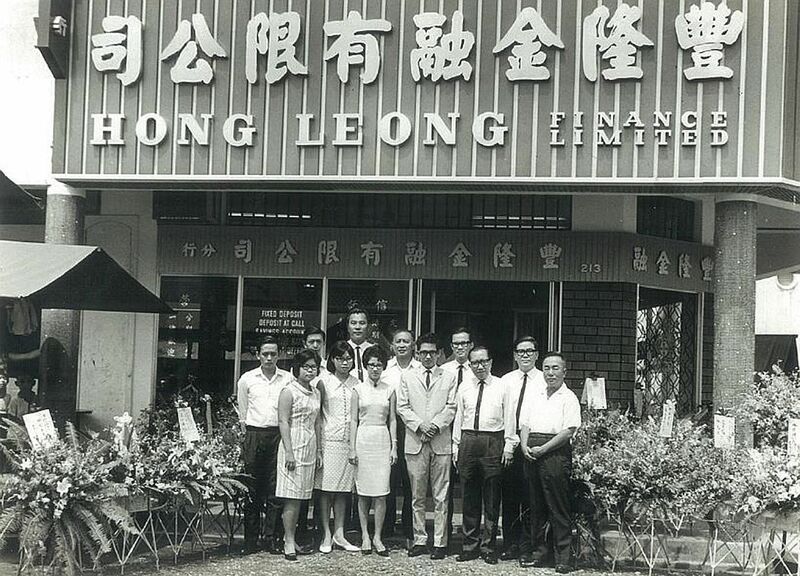 In 1948, they formed Hong Leong Company Private Limited and bought rubber plantations. Later, they also sold building materials and the group also started offering financing services and waded into the property market. Mr Kwek inherited his father's fierce business acumen. He started working with the family business when he was 23 as an entry-level management executive. He rose up the ranks and was tasked to find good investments and negotiate deals. In 1972, he led Hong Leong's takeover of residential property developer CDL and transformed the loss-making company into one of Singapore's biggest landlords, and hotel owner and operator. In 1989, he launched CDL Hotels, listed the company in Hong Kong and continued the hotel-buying spree. When it started, the group had just six properties. Fast- forward seven years, Mr Kwek had about 60 hotels in his portfolio. And by 1994, he had stepped into his father's shoes as the executive chairman of the Hong Leong Group. His father died that year at age 82. One buy that made the industry take notice was his 1995 joint acquisition of the Plaza Hotel in New York. He and Saudi billionaire Prince Alwaleed, whom he calls a good friend, bought the iconic property from current American presidential hopeful Donald Trump. They paid US$325 million - about US$75 million less than what Mr Trump had paid in 1988 - and sold it in 2004 for US$675 million. The seasoned businessman knows a good hotel when he sees one. It is all about the location, he says, even if developers style each one differently for different travellers. "It's no longer the myth of consistency that brings success, but of authenticity." Mr Peter Barge, 66, retired chairman and chief executive officer of Jones Lang LaSalle Asia Pacific, says Mr Kwek was his "first port of call" when he had a good deal to pitch. Mr Barge, who presented Mr Kwek with the Lifetime Achievement Award from Hotel Investment Conference Asia Pacific last year in Hong Kong, says the shrewd businessman is at the top of his game - from the property to the debt market. Mr Barge says of his friend, whom he has known for more than two decades: "If (a hotel) was overpriced, he would work it out quickly and say, 'Stop wasting my time, go and find good deals.' He was to the point. I always knew exactly where I stood and what he thought." The business of hospitality has not always been smooth-sailing. One low point for Mr Kwek was the Sept 11 terrorist attacks in 2001. His Millennium Hilton hotel in New York, just across the street from the Twin Towers, was badly damaged by debris. While the building's foundation was intact, everything inside had to be gutted. Mr Kwek says: "The restoration was just as tense. There were daily fights with the insurance company. Occupancy rates for our other hotels in New York City dropped by almost 70 per cent in the aftermath. "Hospitality is not all handshakes and good food." There are new challenges to work on at this stage of his life and he admits that he is getting on in years. He has cut down on sugar and salt in his diet, stays away from alcohol and avoids travelling longer distances to the United States as he finds it "harder to recover" from jetlag. Still, he loves travelling to Paris - for its architecture and history - but says London trumps the French city when it comes to food. Mr Kwek, who gives a thumbs-up to French bistro La Petite Maison, says: "Right now, London has many restaurants to eat at, but it can be difficult to get in unless you have the right connections. The latest must-go is the Beast Restaurant, which inspired me to name the M Social restaurant after it." The once-avid tennis player now gets on the court just once a week and no longer participates in challenging matches. He used to play almost every day. Instead, he takes it slow, practising qigong with a master from Shanghai, from whom he has learnt to strengthen his legs to avoid falls and broken hips. Mr Kwek, who also reads and goes for walks, says: "I exercise and keep my mind active. I still have the zest to do a lot of things, even if I don't walk or run as fast as before. When you grow old, there are limitations." That, however, is not keeping him away from work. "I'm passionate about what I do so I still clock long hours. I do take annual holidays, but to check out new properties, hotels and trends." He is also looking at succession planning. Last year, his younger brother Kwek Leng Joo, CDL's deputy chairman, died in his sleep after having a heart attack. He was 62. They have three sisters: Madam Kwek Geok Luan; Madam Quek Bee Heong, who died in February; and Madam Kwek Lee Hoon. They do not work in the business. 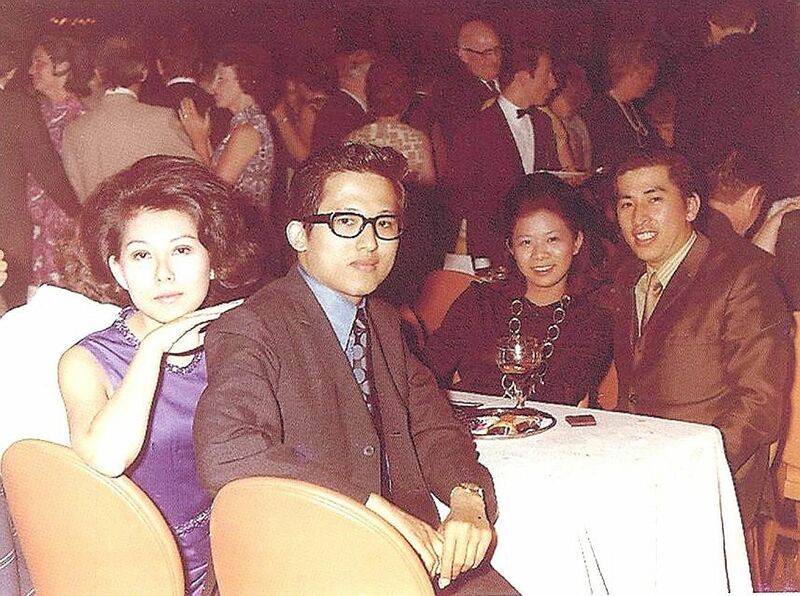 Mr Kwek Leng Beng is married to Madam Cecilia Kok, whom he met when she was working as a lawyer in Singapore. She declined to reveal her age. The couple's son Sherman, 40, is now CDL's deputy chief executive officer. His younger son Kingston, 35, is a private investor. While his wife does not work in the business, she has picked art for his hotels such as The St. Regis Singapore, The South Beach and W Singapore - Sentosa Cove. Mr Kwek even looks to her sometimes for advice on his youthful wardrobe. For the interview with The Straits Times, she vetoed his first choice of a red shirt. She deemed it too "ah beng" and picked a blue one instead. "Sometimes I defer to her taste. I don't have that much of an artistic taste. No matter how much I learn, I can't be her," says Mr Kwek. He says he is different from his father. The patriarch's old-school methods would not work today. "I can't force (my children) to do things they don't want. Why should I get my younger son to work with me if he isn't interested? "At best, he would just be ordinary. You have to be passionate about the job and understand the nuts and bolts of what you have to fix. If not, it's just report after report." While other scions might fight to carve out their own path or pursue other interests, Mr Kwek says that, in retrospect, joining the family business was always his calling. "I had no choice but to work for my father. But it's a lucky thing I have a passion for real estate and hospitality. It is important to love what you do - and I do."